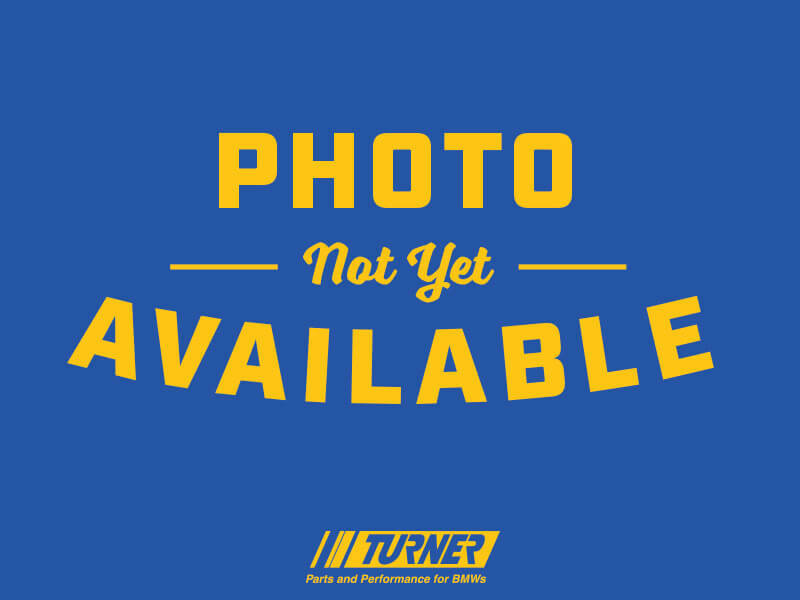 Turner Motorsport is your source for BMW branded merchandise. Know someone who loves ///M like we do? Check out our gifts section, we'll make the shopping easy for you. Intercomp 2.5" Deluxe 60PSI Air Pressure Gauge: Includes thumb operated bleeder and a high-quality nozzle on a 17" Hose. High visibility with major and minor graduation marks. 2.5" Air Pressure Gauge Liquid-Filled 0-60 psi. The liquid filling helps to reduce variations due to temperature and external pressure. Addiitonally, the liquid helps the gauge to be more shock resistant. Intercomp 4" Ultra Deluxe 60PSI Air Pressure Gauge: Includes a thumb operated bleeder and high-quality nozzle on a 17" Hose. High visibility Glow in the Dark face with major and minor graduation marks. Protect your finish when working under the hood with a high quality Turner fender cover. Made from a synthetic leather layer with a goose flannelette backing for durability and protection. The Turner fender cover holds a tight grip to your fender or core support with four 9.5" magnets sewn into the top layer. Extra Long 20" x 47"
Turner Motorsport was created with the vision of bringing ultra high performance BMW accessories to avid enthusiasts at a reasonable price. Will Turner opened the doors to his 6500 square foot R&D facility in 1993 - since then the company has seen incredible growth and accomplishment. Most recently, Turner Motorsport participated in the IMSA United Sportscar Championship. Drivers Jesse Krohn and Jens Klingman were able to pilot the Number 96 Turner Motorsport M6 GT3 through the pack and finish fourth overall during the 2017 season. While not on the racetrack, the team at Turner can be found designing and testing new products perform just as well on the track as they do on the street. For example, TurneraEURtms E46 rear subframe reinforcement kit resolves a real world problem, the E46aEURtms rear subframe mounting points, by creating a solution that prevents further damage and can be used to remedy and already cracked subframe area. In this way, an extremely detrimental problem can be repaired or prevented no matter what type of driving style the vehicle endures. This is just one example of the philosophy behind Turner Motorsport being put to work in every product they design. When it comes to sourcing elusive motorsport specific parts, Turner delivers again. As an authorized dealer, Turner carries a wide range of racing specific parts from BMW Motorsport. Anything from full conversions, such as the M235iR conversion kit, to the more esoteric offerings like the E30 M3 Evo racing pulley kit. Now you can bring home a piece of Turner Motorsport History with this beautifully constructed diecast model of the Turner M6 GTD car. This is the same one driven by Jens Klingman and Bret Curtis at Circuit of the Americas in the 2016 season. Accurate and breathtaking detail are at the forefront of this limited edition 1/43 scale model. Only 402 are left so get yours before the checkered flag drops! One size fits all, embroidered baseball cap. The hats have "Championship BMW Race Team" on the back and the Turner logo on the left front. 80% Acrylic and 20% Wool.